A spectacular video from Mille Lacs Lake in Minnesota demonstrates the incredible capabilities of nature. 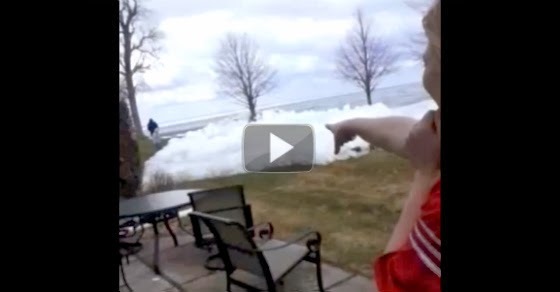 The footage is of snow getting pushed ashore in the spring. This is called an ice shove or shoreline ice pile up. It is a surge of ice from an ocean or large lake onto the shore. They are caused by ocean currents, strong winds, or temperature changes. Ice shove's usually are not this drastic.